“Berliner Chic” is a phrase associated with more than just the local fashion industry and its ready-to-wear clothing. 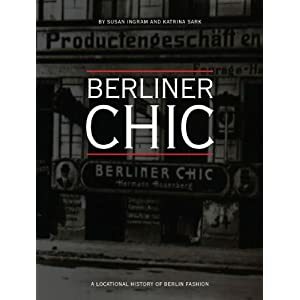 Berliner Chic is a cultural concept that evokes history: the turbulent story of the efforts and strives of creative designers and manufacturers in Berlin, whose attempts to establish Berlin as a fashion capital have been continuously interrupted by politics, ideology, and war. It evokes the notion of quality (the tradition of handmade clothes) and a certain urban flare that persists to this day in the contemporary fashion scene. It also evokes entrepreneurial savvy: whether at the beginnings of the Konfektionsindustrie (ready-to-wear industry), in the ruins of post-war Berlin, or in the reunified global metropolis, men and women in the fashion industry managed to overcome limitations by turning challenges into opportunities. Berliner Konfektion (the ready-to-wear industry) is both an economic factor and a cultural-historical phenomenon. Berliner Chic also evokes a sense of social and urban identity, female labour, Jewish extermination during the Third Reich, and last but not least, by lending its name to an exhibition that told the history of the city through its clothes, it also evokes stories of museal and institutional strives and achievements on the path of establishing Berlin as a fashion capital. What distinguishes the Berlin fashion from its Parisian counterpart is this multi-layered and multifaceted social and cultural significance grounded in the city’s history, industrialization, topography, and most importantly its people. As Barbara Mundt noted, “in France fashion is art, in Germany, quantité négligeable” (Gretel Wagner, “Die Mode in Berlin” in Berlin en Vogue: Berliner Mode in der Photographie. Herausgeber: F.C. Gundlach, Uli Richter. Tübingen: Wasmuth Ernst Verlag, 1994, 145). Thus Berlin fashion seen as “negligible quantity,” as something usually taken for granted, begs to be examined. And those who work in Berlin today to promote, document, create, and exhibit fashion can be acknowledged as activists against a negligible lack of conception of what fashion means in a place like Berlin. The history of the Berlin fashion industry is a turbulent roller-coaster of ups and downs. Tracing the locations of Berliner Chic throughout the city, one cannot help encountering the conceptual and theorized ghosts (Ladd) and voids (Huyssen) of Berlin, as well as findind completely new “scenes.” As fashion migrates throughout the city, one occasionally stumbles upon former fashion sites that are remnants of a lesser known history. Some of these sites will guide us through the locational history of Berlin fashion. 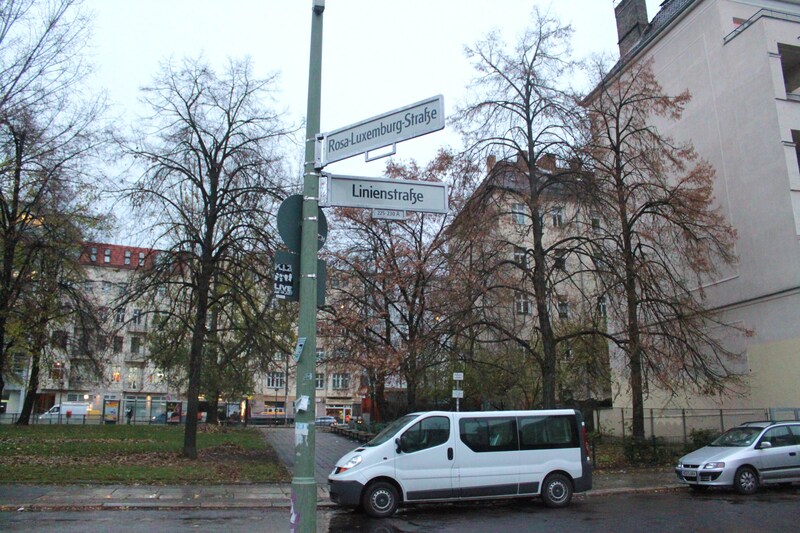 Moving chronologically, one would have to begin at Hausvogteiplatz, where the Berliner Konfektion was born in the mid-19th century, where it grew to its heights between the turn of the century and the 1920s, until it was destroyed in 1933 and bombed out in 1945. The ready-to-wear industry was modelled after the Parisian haute couture and reproduced for the Berlin consumers by the system of Zwischenmeister (subcontractors) and Heimarbeiterinnen (home-seamstresses). This system allowed a very cost-efficient mass-production of garments because no expenses were spent on manufacturing facilities or machinery. 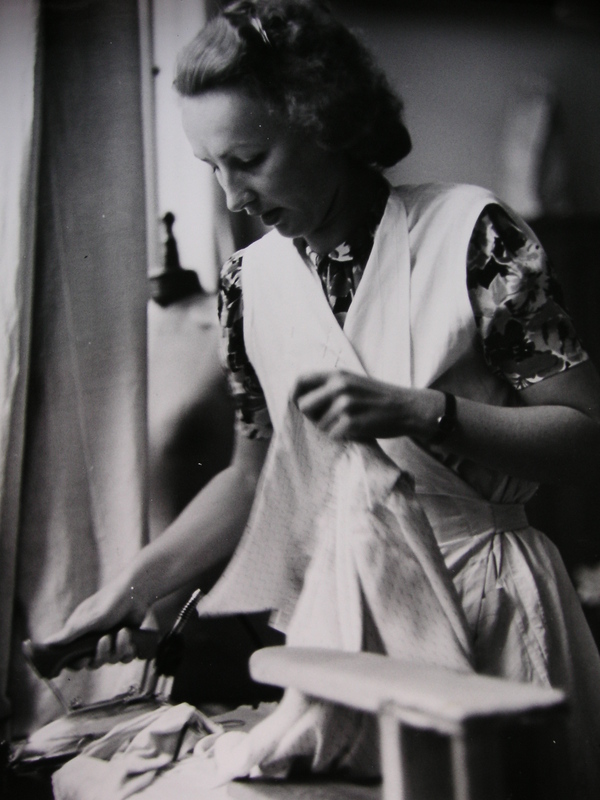 Each home seamstress was responsible for her own sewing machine and took on contract-work from the Zwischenmeister. 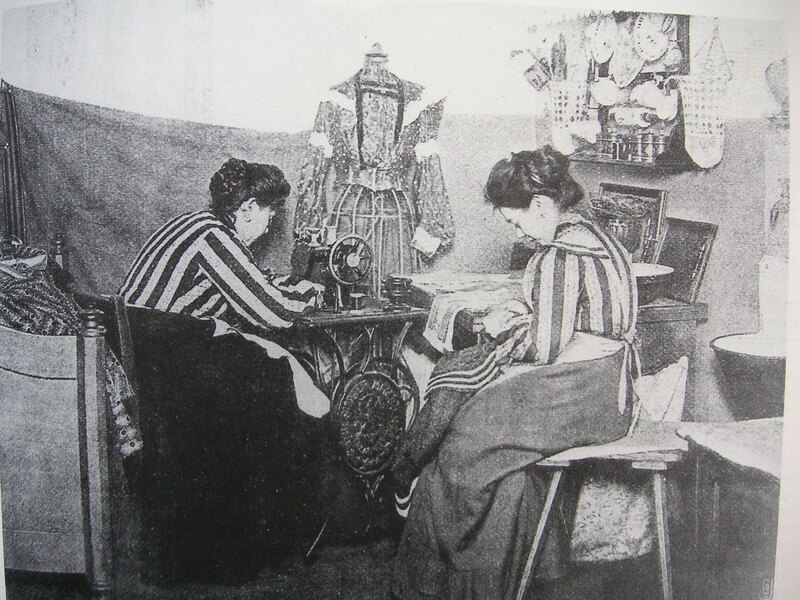 The manufacturing of clothes was divided among 600 independent subcontractors, who employed about 100,000 women, who sewed all garments in their Mietskasernen homes (low-cost housing in the city center). Around 1860 Hausvogteiplatz had 20 clothing manufacturing businesses, ten years later there were twice as many. 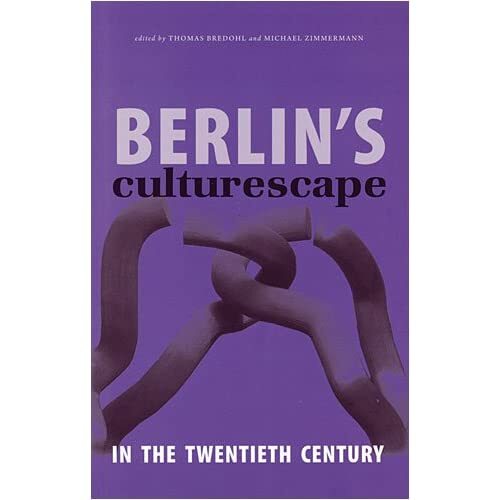 By 1875 Berlin-made clothes were exported to Holland, England, Sweden, Switzerland and USA (Berlin Museum – Short Guide: Collections to the history of art and culture from the 16th century to the present day, Berlin: Berlin Museum, 1987, p.100-106). The Berlin textile industry was mostly Jewish because Jewish immigrants came to Berlin from Posen around 1820 (Gretel Wagner, 114), and because up until the 19th century Jews in Germany were restricted from most professions, except trade and retail. This system of producing relatively inexpensive clothes for a wide range of customers was new and distinctly different from the custom-made, tailored clothing that used to be created for the select few wealthy customers who could afford them. Hermann Gerson, Valentin Manheimer, and Rudolph Hertzog were the first to start with the production-line manufacture of coats, capes and mantillas. Around the turn of the century, Berlin fashion-designers achieved an annual turnover of some 200 million marks. Of the 600 textile-manufacturing firms in Germany at that time, some 500 were in Berlin. The world-wide economic crisis of 1929 and the coming to power of the National-Socialists put an end to the first chapter of the history of Berlin fashion. From 1933 onwards, the Jewish Konfektionsindustrie was subjected to anti-Semitic discrimination, boycotts, vandalism, and eventual extermination. In 1930, the German word “Konfektion” was out-lawed; and locally manufactured female lingerie was advertised with an emphasis on “arian.” Many manufacturers left the country; those who did not, were deported to concentration camps. 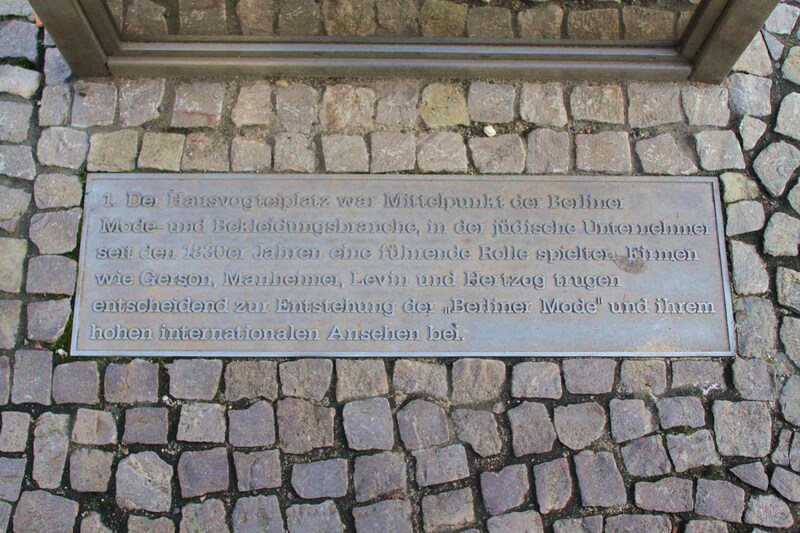 4000 Jews from the Berlin textile industry were killed in the camps. 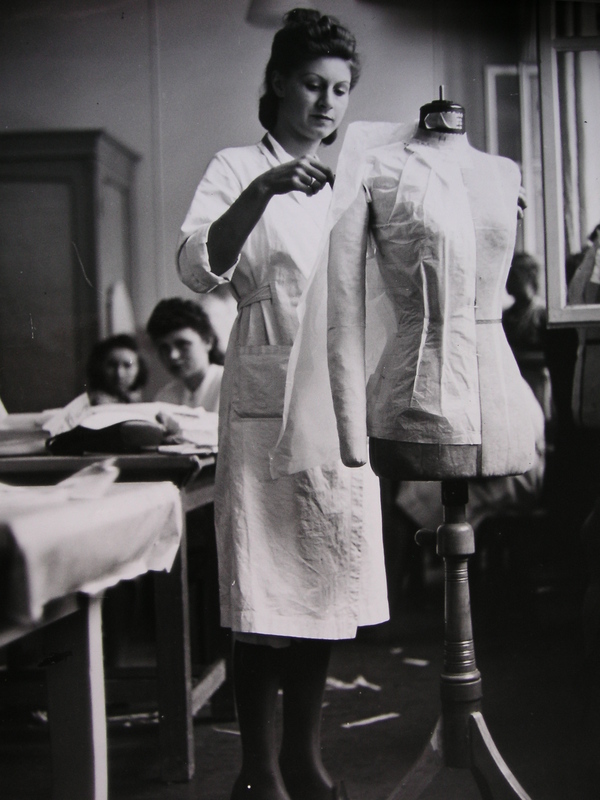 The immediate producers of Berlin clothing were seamstresses: women and girls of the lower social strata. By 1896 there were 155,000 women employed in the Konfektionsindustrie. By mid-1920s there were 80,000 businesses with about 200,000 employees, most of whom worked in sweat-shop conditions (from home), for minimal wages, for (male) manufacturers. According to Uwe Westphal, 49.8% of the Konfektion businesses were Jewish-owned. All of them were either closed or aryanised. Auerbach & Steinitz sold their firm to Hans Gehringer and emigrated in 1939. Hermann Schwichtenberg took over the firm of Hansen Bang, who left for New York. Leo Zaduck also escaped abroad, came back in 1945 and together with his daughter reopened his business in Berlin, which remained open until 1970. Gerson was mentioned in fashion magazines until 1939, after that changed to Horn (Gretel Wagner, 126). Even after 1933, internationally-influenced fashion was made and worn. 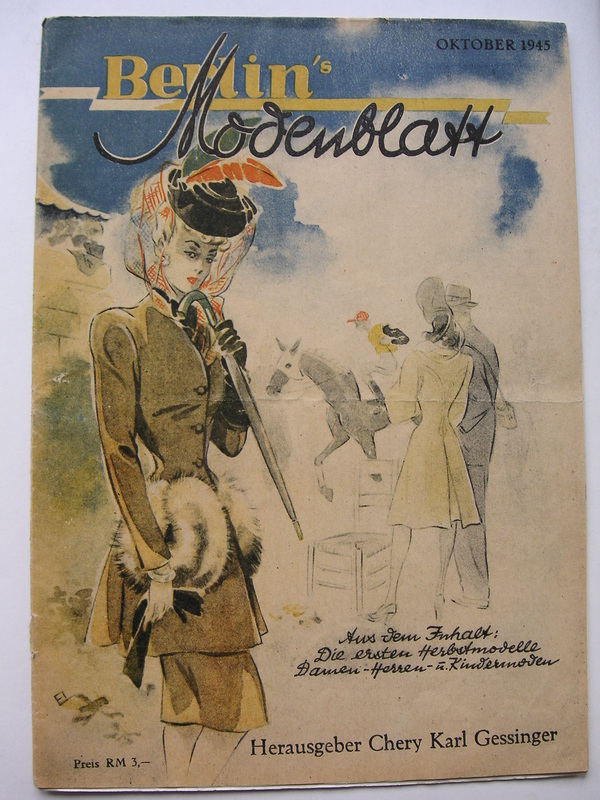 All influential magazines of the time, such as Die Dame, Elegante Welt, Der Silberspiegel, Die neue Linie, reported on the Parisian haute couture until the outbreak of war. 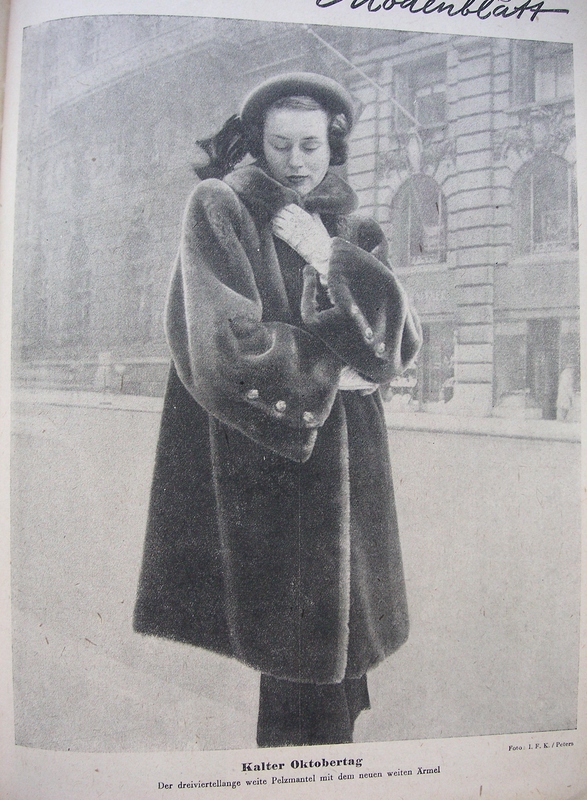 Even the September 1939 issue of Silberspiegel reported on a fashion shows at Lelong, Creed and Patou. In 1933 the German Fashion Institut was established by the Ministry of Propaganda, under the leadership of Madga Goebbels. Berlin designers continued to look to Paris for inspiration (Gretel Wagner, 127). After the siege of Paris, Hitler planned to transplant the Parisian haute couture to Berlin. He planned to create a street dedicated to fashion in Tiergarten. Each couture house was to have its own building there: Lelong, Worth, Piquet, Alix Grés, and Molyneux. Coco Chanel and Madeleine Vionet had closed their businesses. Berlin designers were also considered: Hilda Romatzki, Schulze-Bibernell, Elise Topell and Petz-Berger. Lucien Lelong, as the president of Chambre Syndical de la Haute Couture was summoned to Berlin to realize these plans. 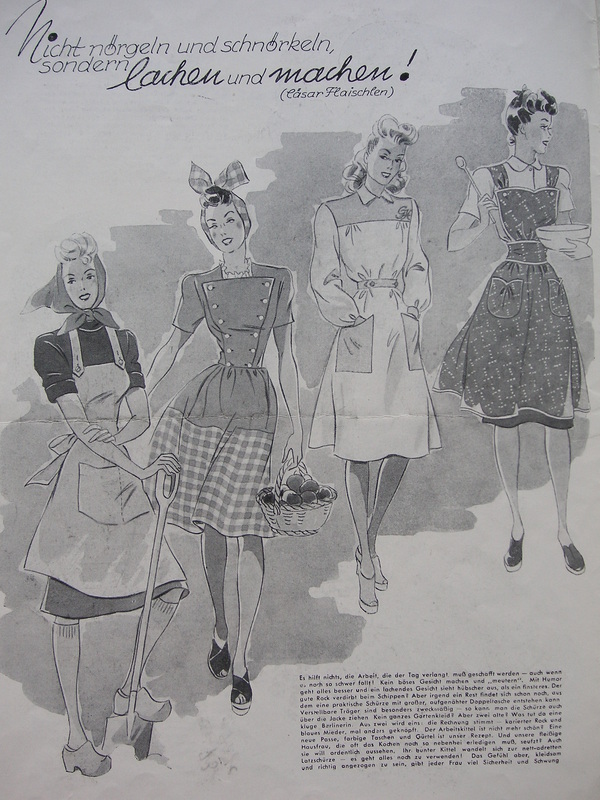 Yet the plans fell through when it was realised that skilled seamstresses, textile workers and manufacturing experts were missing (Gretel Wagner 128). 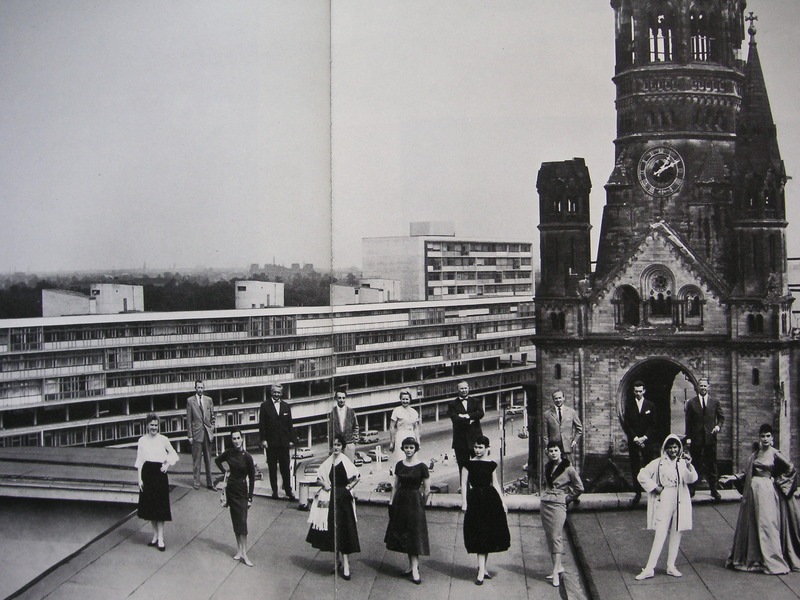 In 1940 Berlin designers formed the Arbeitsgemeinschaft Berliner Modelle (Society of Berlin Fashion) with the following members: Gehringer & Glupp, Covers & Seger, Hilda Romatzki, Annemarie Heise, Kuhnen, Schwichtenberg, Schröder-Eggeringhaus, Nina Carell, Suden and Lauer, Schulze-Bibernell, Aribert Schwabe, Werner Brüggemann, Rolf Horn, Elise Topell, C.G. 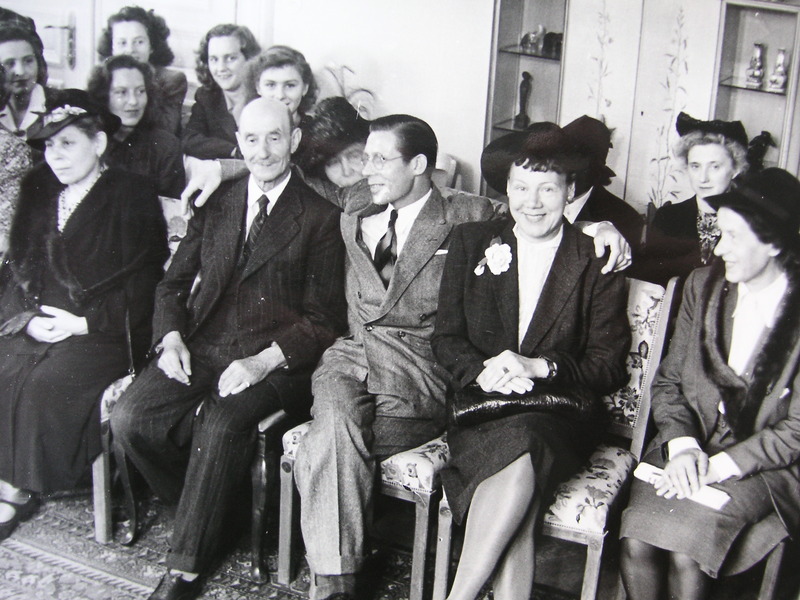 Strobach, Hanns Bisegger, Lochte & Co. Dorit and Erich John (Gretel Wagner 129). Today, Hausvogteiplatz is a tree-lined square with a fountain encircled by benches, just a 5-minute walk from Gendarmenmarkt and Galeries Lafayette on Friedrichstrasse. 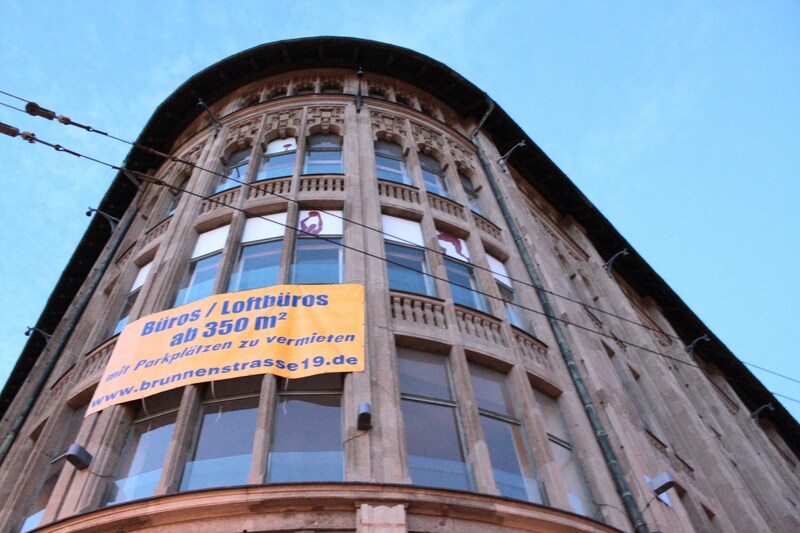 One of the few original buildings, Haus zur Berolina, was reconstructed and modernized in 1997. The Jüdische Allgemeine newpaper (whose first editor in chief was Karl Marx) is published here by the Rudolf-Mosse-Verlag, resuming the tradition since 1837. 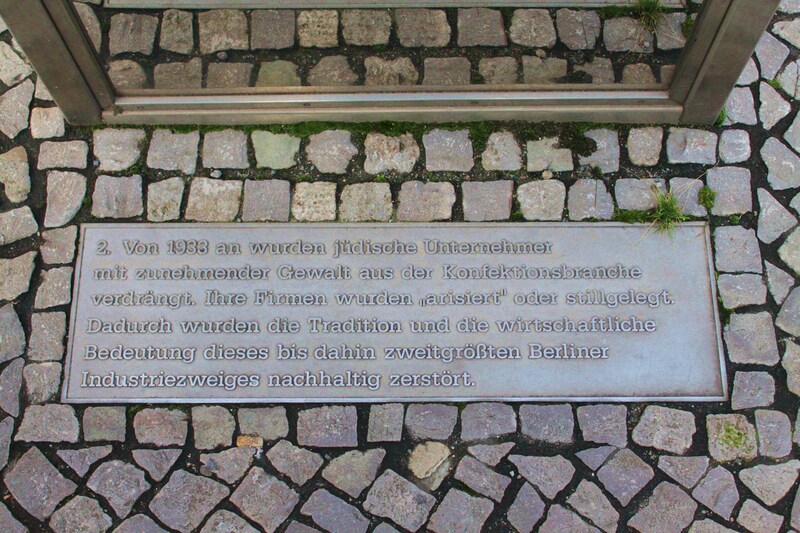 An info-board, erected in 1994 behind the entrance of the Hausvogteiplatz subway station, commemorates the extermination of the Jewish Konfektionsindustrie. 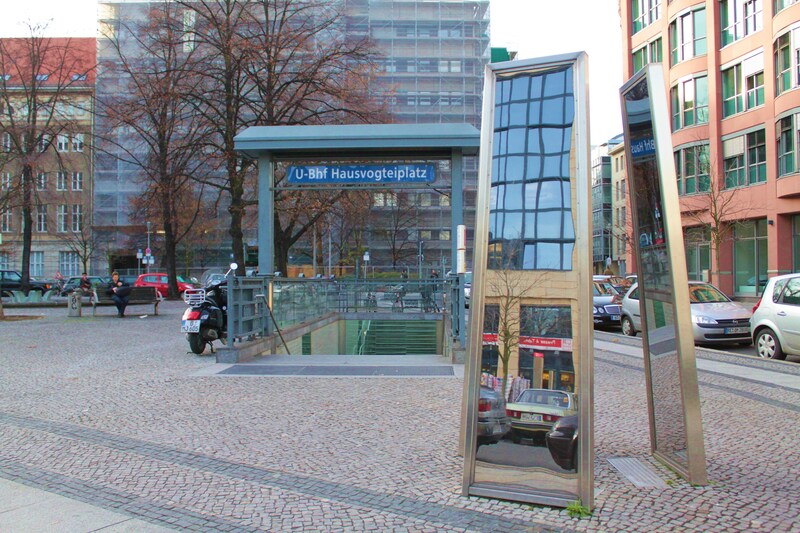 In 1995 an art competition for a monument was won by Rainer Görss, his sculpture “Denkzeichen Modezentrum Hausvogteiplatz” (memorial of the fashion center Hausvogteiplatz) was erected in 2000. 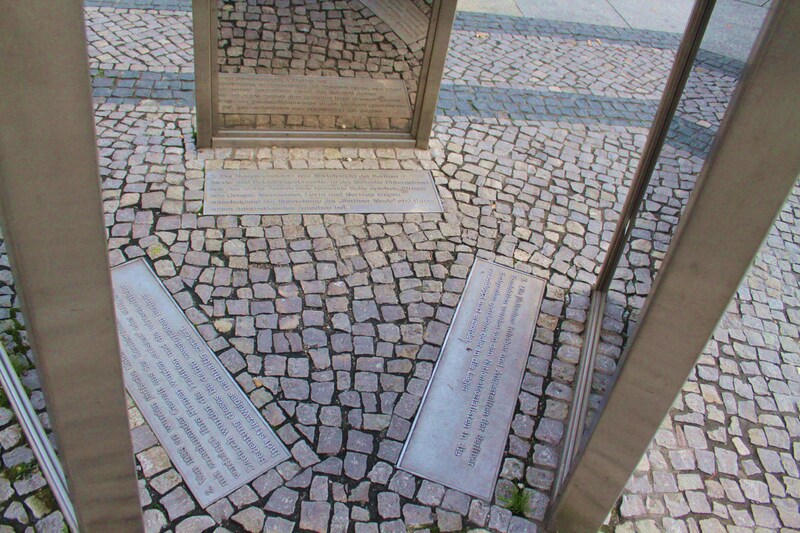 Three double-sided mirrors form a triangle; inside the triangle, at the foot of each mirror is a metal text-plate, informing about the fate of the Jewish manufacturers. 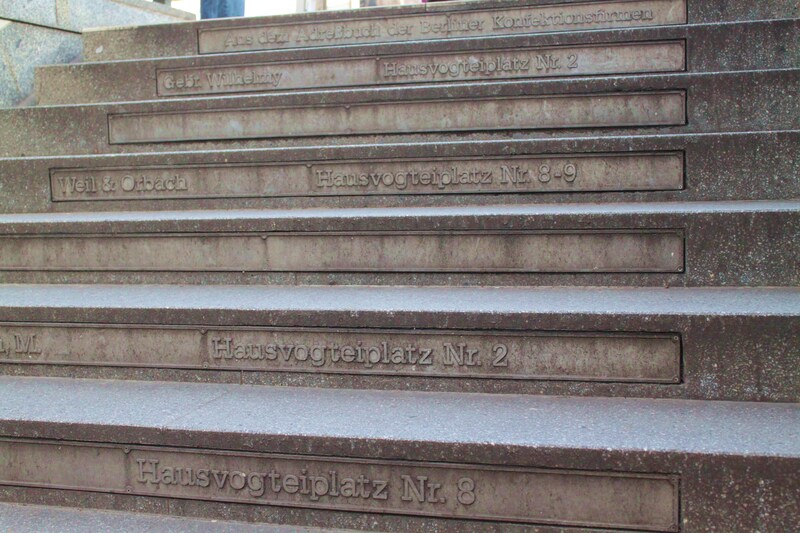 On the steps of the subway entrance are names and addresses of Jewish fashion houses. Some are left black to indicate that the information is not complete, because some manufactures disappeared without a trace. 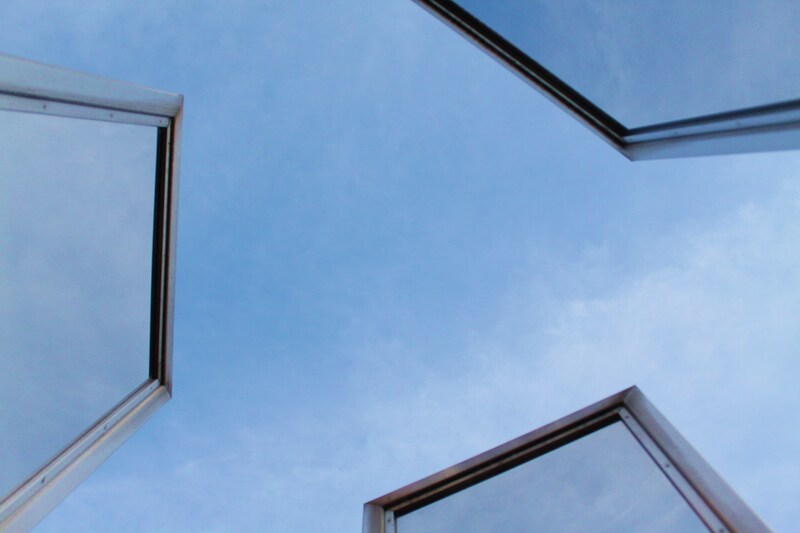 In Berlin, history and memory are written into the surfaces of its buildings and squares. In 1945, Hausvogteiplatz lay in ruins; two-thirds of the decimated population of Berlin were women. They had to fight for survival in their daily reality of malnutrition, hard work clearing rubble, and abuse and sexual assaults from the Soviet soldiers. Clothing was made from materials smuggled and scavenged, and could only be purchased at exorbitant prices on the Black Market. However, the fact that high fashion was being produced at all is striking. At the time when mass investigations and trials were taking place in Nürnberg, as the Allies were negotiating over the future of German cities, prisoners of war were returning home, and the Black Market was the only economic structure in place, Berlin’s women were cleaning up the chaos created by Hitler’s war. 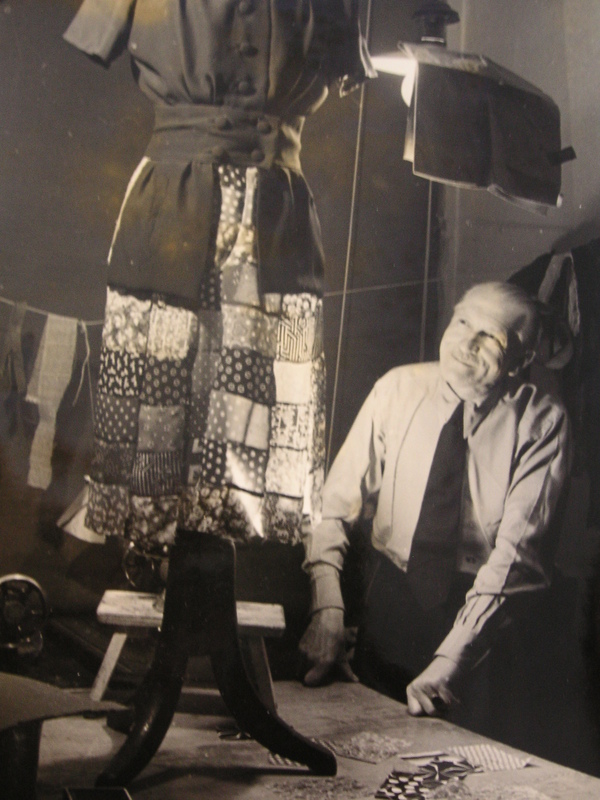 Gradually, the workers of Berliner Konfektionsindustrie returned to their old businesses, and unraveled the basements to retrieve hidden and left-over fabrics; home seamstresses brought out their surviving sewing machines, and former designers, like Heinz Oestergaard, Walter Schulz, and Hans Claussen, returned from the war and reopened their fashion houses around Kurfürstendamm. At first, American cigarettes and coffee were the currency. Under the Soviet command all available and imported fabrics were shipped to the Soviet Union. This created a fabric shortage and left the local population with what they had. Old rags were collected all over the city, torn and processed into new fabrics and used for making new clothes, the Lumpenkleider. Articles such as, “Die Kunst aus Wenigem viel zu machen” (the art of making more from nothing) with drawings and suggestions provided encouragement in daily life and practical tips for re-using old clothes, or making one new out of two old dresses. Advertisements announced the re-opening of sewing salons that offered re-modeling of garments, creations made out of “mitgebrachten Stoffen” (used fabrics), due to the fabric shortages; hat makers advertising in English, Russian and French languages, catering to the Allied troops; hairdressers offering their services, as well as bars and clubs re-opening (Berlins Modeblatt, Oktober 1945, Herausgeber Chery Karl Gessinger, Chery Verlag, Berlin N4, Linienstrasse 145). Besides working as Trümmerfrauen (rubble women) and cabaret singers or dancers, many women resumed their work in the fashion industry as seamstresses (of course for a lower wage than the other professions). 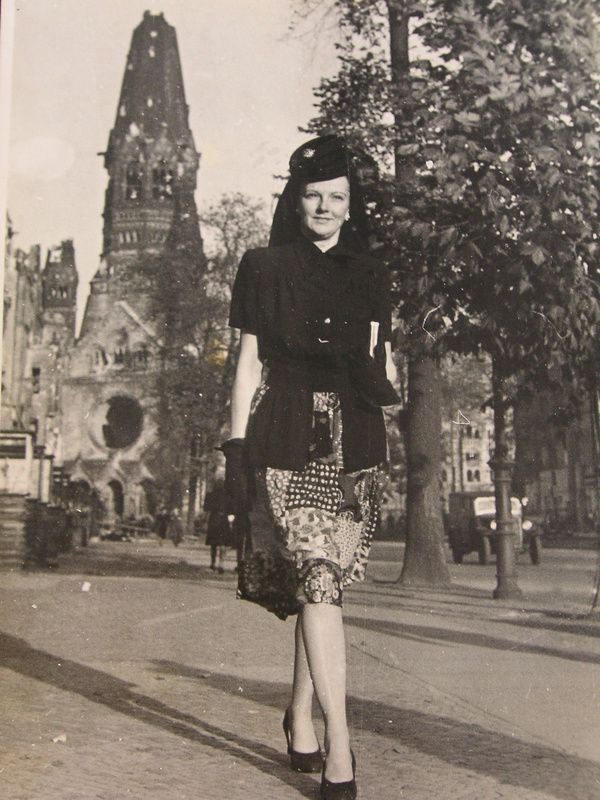 A catalogue on the exhibition of women in the Charlottenburg fashion industry after 1945 records an interview with Frau Günter, who worked as a designer in one of the smaller salons on Kurfürstendamm. She stated: “Once I worked a whole day and through the nigh, until the following day at half past twelve because the collection had to be ready. Just with coffee, cigarettes, and a yogurt. That was not rare. I rarely worked less than 60, 65 hours a week, and almost never got paid” (Manuela Goos, Brigitte Heyde, Kleider Machen Frauen – Brochüre zur Ausstellung über Frauen in der Charlottenburger Modeindustrie nach 1945. Berlin: Heimatmuseum Charlottenburg, 7.11.1990 bis 13.1.1991, 5). “When we bought new fabrics, the manager stayed longer too because she could limit my creative ambitions in a business-like manner. Then I sat down and and made my designs based on the new fabrics. Much inspiration came from fashion magazines, which showed designs from Paris and Italy, with quality photographs, on which one could even see the seems. It all looks very chic, but imagine transfering that into a size 46! That was, in my opinion, the art: to transfer the designs in a way that one had a chic collection, which corresponded to the latest fashion and was wear-able” (Kleider machen Frauen, 5). 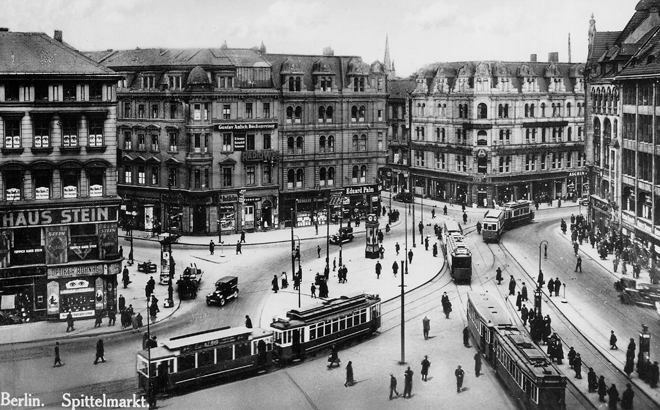 In July 1946, Tagespiegel reported that between Kaiser Wilhelm Memorial Church and Halensee bridge there were 210 stores, 43 of which were fashion businesses. The Berlin Blockade of 1948 made the new beginnings very difficult. An industry trade show, the IGEDO (Interessengemeinschaft Damen-Oberbekleidung) was organized, and held its first meeting in Berlin. But the subsequent fashion trade show was held in Düsseldorf in March 1949, with 26 Berlin labels participating. 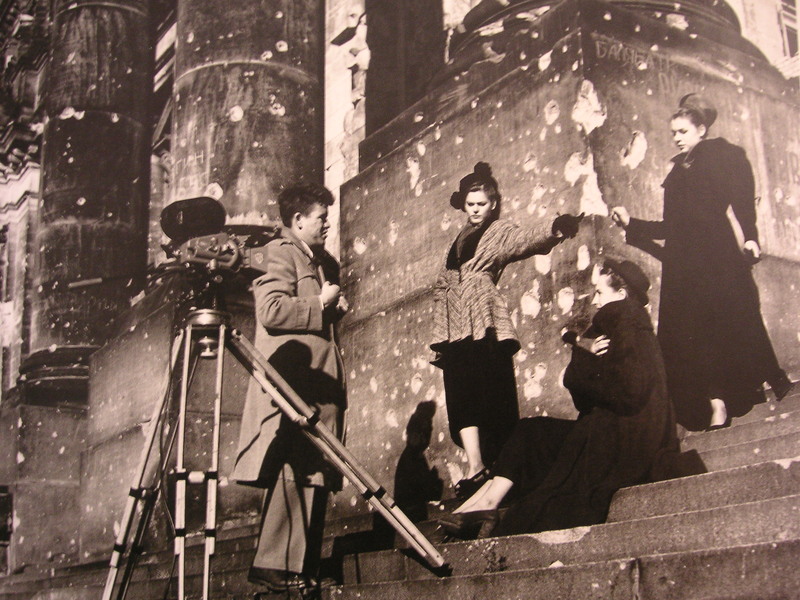 Several of Berlin designers moved after 1945 to West Germany: Heinz Schulze moved to Munich, Irmgard Bibernell to Hamburg, as well as Hilda Romatzki and Grete Kiaup. Elise Topell moved to Wiesbaden, and Nina Carell to Baden-Baden (Gretel Wagner, 131). 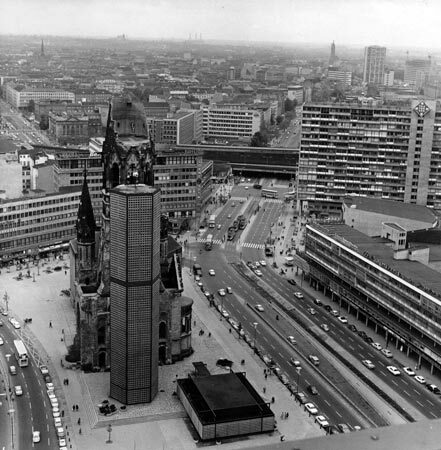 Five months before the Berlin Wall was built, Berliner Morgenpost reported on the designer Hans W. Claussen in an article, entitled “Berlin – Capital of Fashion”: “As a young man, Hans W. Claussen came to Berlin, where he apprentised at Hausvogteiplatz (then the center of fashion) and eventually opened his own fashion business before the war. Thrice was he bombed out, and thrice began from scratch. In 1945, with only a backpack, he gathered his fabrics for a new beginning and a new collection from the various warehouses” (Berliner Morgenpost, 26.3.1961). In 1949 Berlin’s DOB-Verband (Damenoberbekleidung – women outer-wear association) was established and moved into the Bikinihaus, across from the remains of the Friedrich-Wilhelm Memorial Church along Budapester Strasse in 1957. Designed by architects Paul Schwebes und Hans Schoszberger as part of the Zoobogen Ensemble, the Bikinihaus was originally missing the third floor, supported by columns and separating the top from the bottom of the structure it became colloquially known as the Bikinihaus. 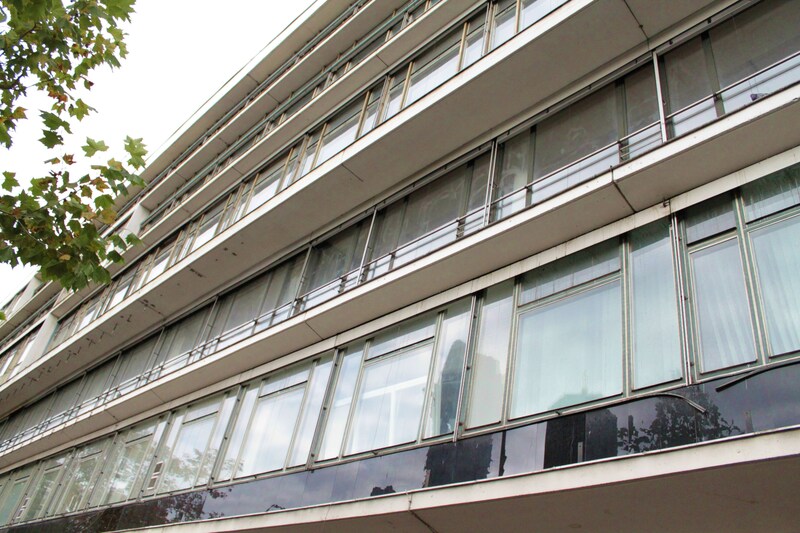 It housed the offices of West-Berlin fashion designers, like Heinz Oestergaard, Uli Richter, Hans W. Claussen, Staebe-Seger, and many others. “Every fifth Charlottenburg worker was employed by the fashion industry. Far from the 90% production height of 1939, the West-Berlin DOB reached the production height in 1961 of 40% of the total clothing manufacturing production in Germany. Ten years later, the West-Berlin DOB production sank to 16%. The downfall of the fashion industry continued in the 1970s and 80s with only 50 fashion businesses, employing aproximately 3000 workers. On 13. 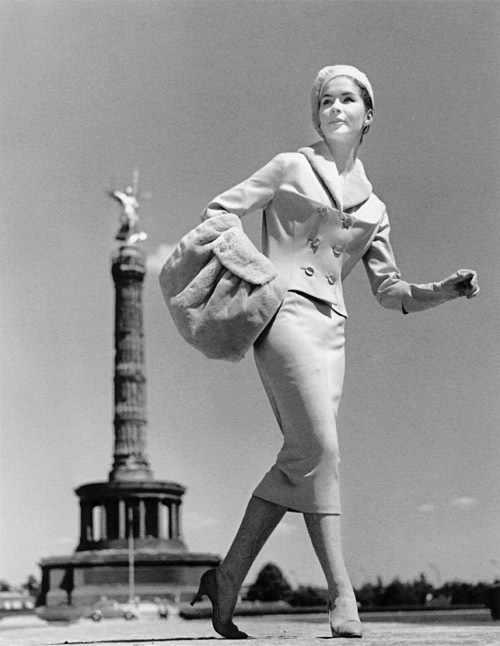 August 1961 the Berlin fashion industry lost 7700 employees“ (Kleider machen Frauen, 11). When the Wall was erected in 1961, and West-Berlin lost half its workers from the Soviet zone, the fashion industry had just gotten back on its feet. After 1961, the West-Berlin fashion industry experienced a steady decline. In 1978 the missing floor of the Bikinihaus was filled in to create more room for the art exhibition space that was housed there from then on. 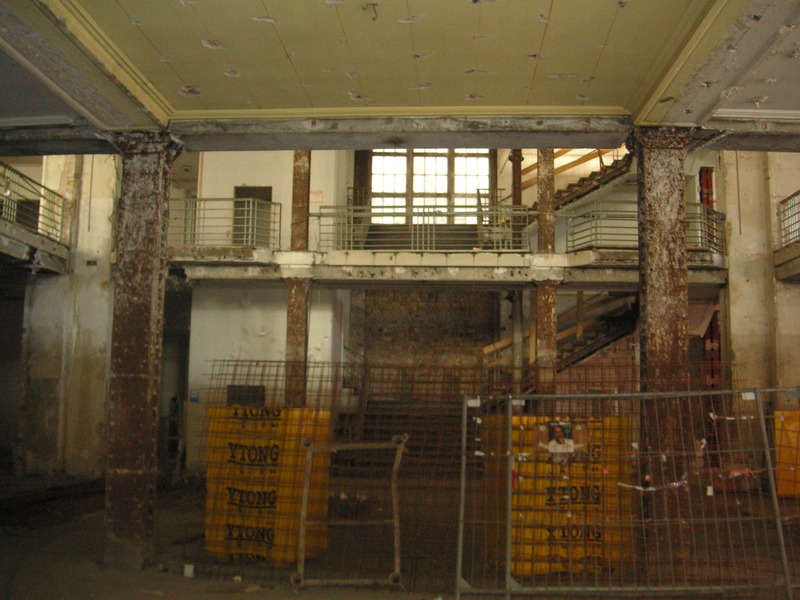 Since 2001, the Bayerische Immobilien Gruppe (Bavarian Real Estate Group) that owns Zoobogen-Ensemble has been planning to restore the fashion building to its former glory and use it for more retail spaces. In 1997, the Zoobogen area has been declared a heritage site, and can only be re-modelled from inside. The lower floors (including the parking lot in the basement) are supposed to contain a shopping mall, yet currently hold a number of discount stores. In 1963, Helmut Newton photographed West-Berlin-based designers for the fashion magazine Constanze, for an article entitled, “Who makes German fashion?” In the photograph are: Hermann Schwichtenberg, Helmut Gschilm, Heinz Oestergaard, Marianne Lindermann (who took over for Aribert Schwabe), Ilse Brettschneider, Hermann Lindenstaedt, Detlev Albers, Ernst Kuchling, Uli Richter, Bruno Glupp, Peter Kübler (who took over for Hans Gehringer), Gerd Staebe and Hans Seger, H.W. Claussen, Bettina and Werner Lauer (Gretel Wagner, 133). 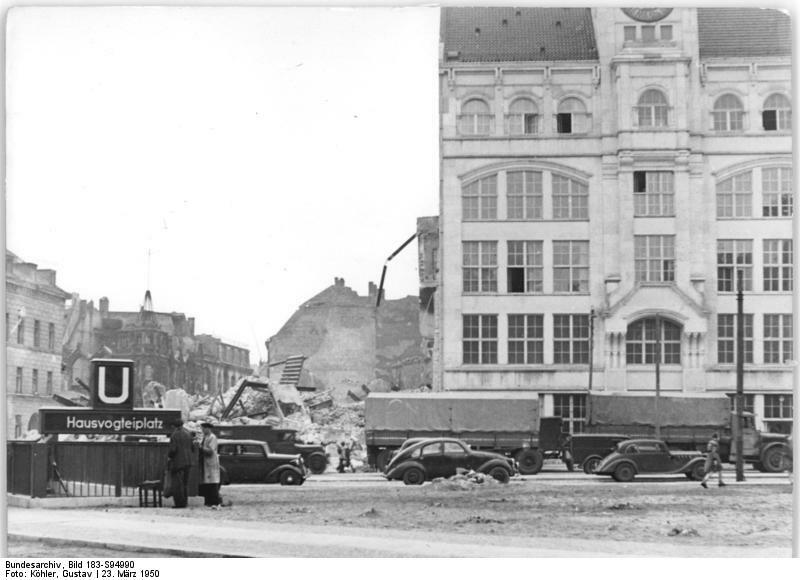 By the 1960s the Berlin Konfektionsindustrie was second largest in Berlin economy. 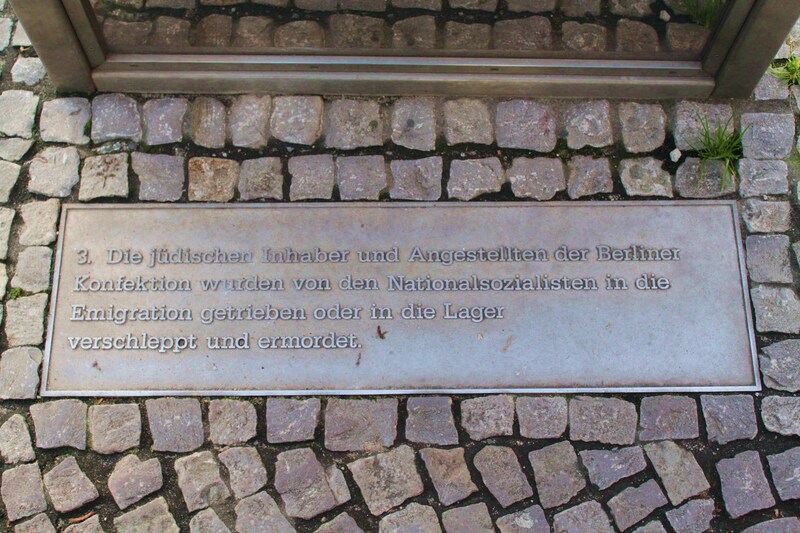 Heinrich Mohr, the first director of Berliner DOB stated: “I will never forget the 8th of May 1945. 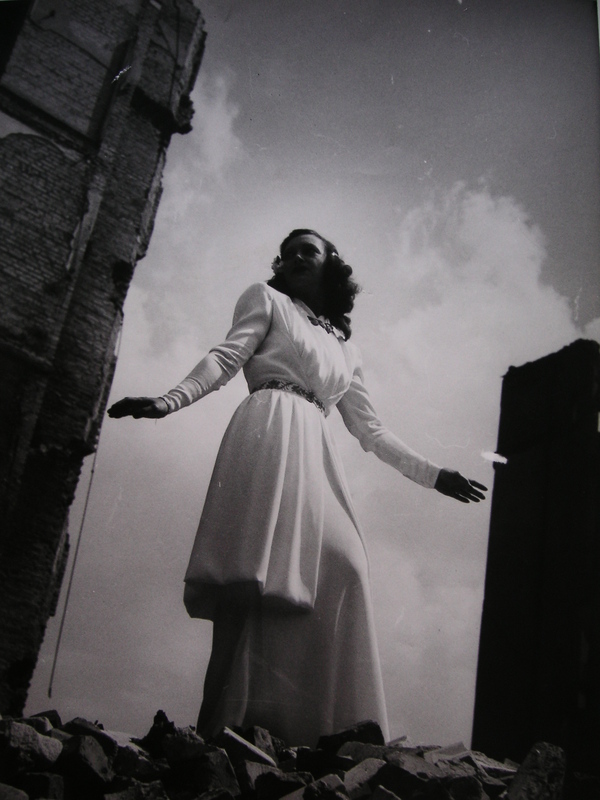 That afternoon we, a small group of survivors, stood in front of the rubble of our stores at Hausvogteiplatz and statred at the ruins.” (Susa Ackermann, Couture in Deutschland – Streiflichter aus dem deutschen Modeschaffen. München: Perlen-Verlag, 1961, 23). A whole industry was resurected from the ruins. 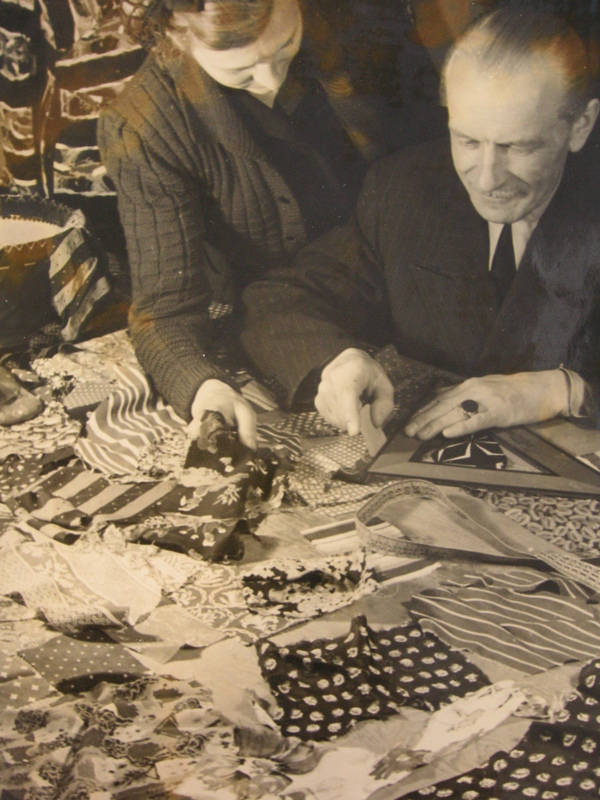 Post-war Berlin fashion industry was also a product of the economic miracle. 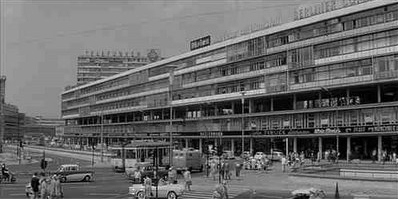 By 1956 there were 450 fashion businesses registered with the DOB association, with 60,000 employees (Ruth Haber, “Die Modestadt Berlin nach 1945,” in Berliner Chic, 78). Still based on Zwischenmeister and home seamstresses, the industry resumed and flourished again. In March 1957, DOB-produced fashion was presented at the Dorchester Hotel in London. In May 1965, DOB fashion was presented at the Plaza Hotel in New York City. 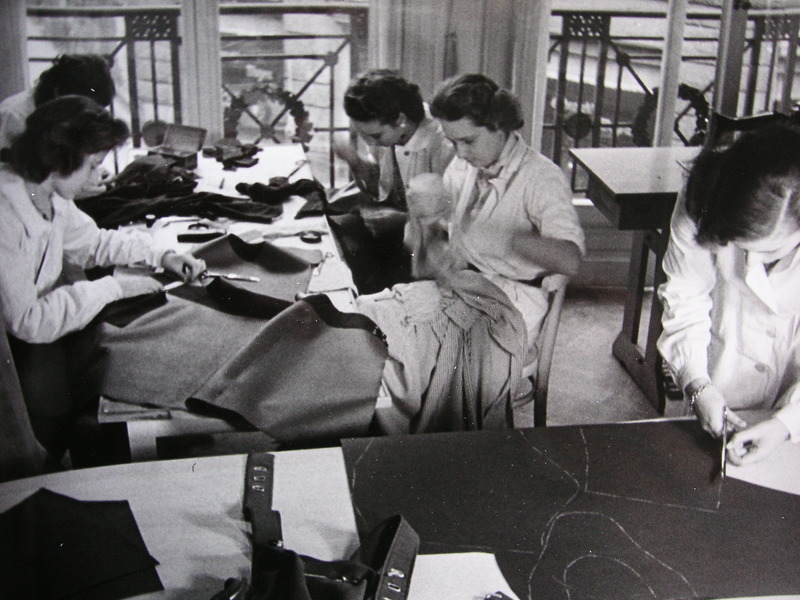 In 1962, the DOB association celebrated the 125th anniversary of fashion production in Berlin (1837-1962). On 13. August 1961 the Berlin Wall was erected and cut off the Soviet sector from the western zones. Many of the seamstresses came from the East. Overnight, the Berlin fashion industry lost more than half of its employees; a loss it never fully recovered from. In the late 1960s Claussen and Schwichtenberg closed their businesses, followed by Staebe-Seger in 1971. The “shining years” were over (Ruth Harber 141). In 1982 the Mode-Messe-Gesellschaft (Fashion Fair Society) was established in Berlin. Between 1983 and 1990 “Off-Line” fashion fair took place at the Funkturm in West-Berlin. In 1991 the “Moda Berlin” fair was organized. With the establishment of the Munich Fashion Week in 1959, Berlin tried to keep up with its own Fashion Fair “Interchic” in 1969, which lasted until 1982. After reunification, in 1998, the “Verband Berliner Createure” (VBC) was established, and represented at the Berliner Chic exhibition at the Museum Ephraim Palais in 2002. 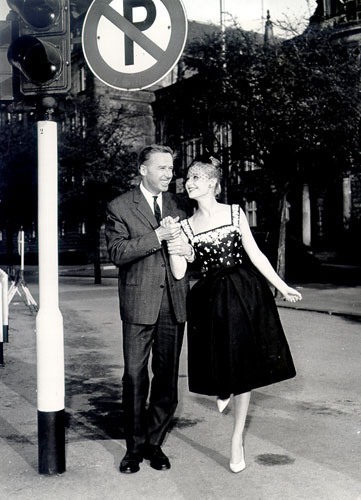 The GDR Fashion Institute was established in 1952, in Prenzlauer Berg, in the Christburgerstrasse 4, with 17 employees, as the Institut für Bekleidungskultur (institute for the culture of clothes) and after 1972 renamed to “Modeinstitut der DDR” (Dorit Lücke, “Archivalische Schätze des Modeinstituts der DDR” in Berliner Chic: Mode aus den Jahren 1820-1990, Herausgegeben von Christine Waidenschlager, Berlin: Stiftung Stadtmuseum Berlin, 2001, 92). 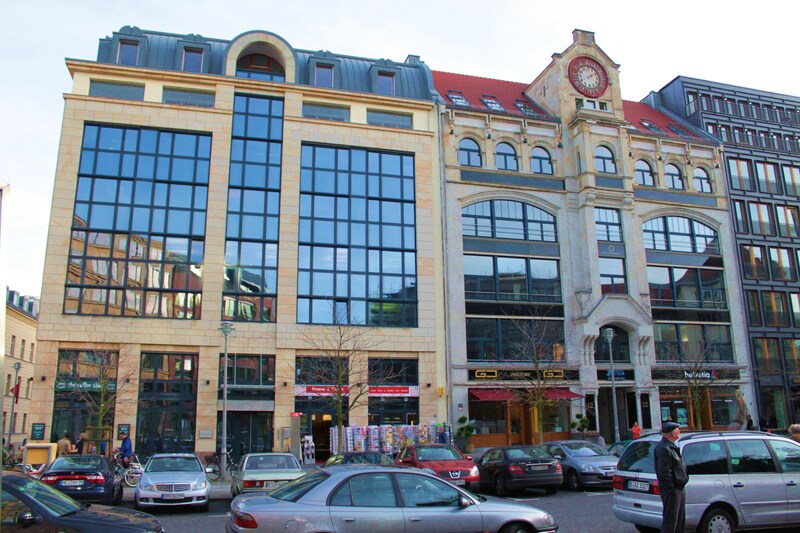 In 1953, the institute moved into the former Warenhaus (department store) in Brunnenstrasse 19/21, with 180 employees. The institute was responsible for the conception and design of fashion in East Germany. For the seasons Spring-Summer and Fall-Winter sample collections were presented to the partners in textile and trade industries. Dorit Lücke also pointed out that fashion presentations were events to which entrepreneurs and media representatives came from all over Eastern Germany, but which were not open to the general public. The library of the institute was supplied with international publications, where the designers could look up the latest trends. Along with the seasonal fashion designs, the Institute supervised the uniform supply of the GDR Olympic team, wardrobes of TV moderators, wardrobes of orchestras and more. In 1956, the GDR fashion magazine Sybille appeared (Gretel Wagner, 144). In 1991, the archive, library, and the fashion collection of the institute was taken over by the Stadtmuseum. Located on the corner of Brunnenstrasse and Invalidenstrasse, just a block away from where the Wall stood along Bernauerstrasse, the former GDR Fashion institute is now a large empty commercial real-estate space with a sign in the window: “Laden- und Gastronomiefächen ab 200m²” (store and gastronomy spaces for rent). 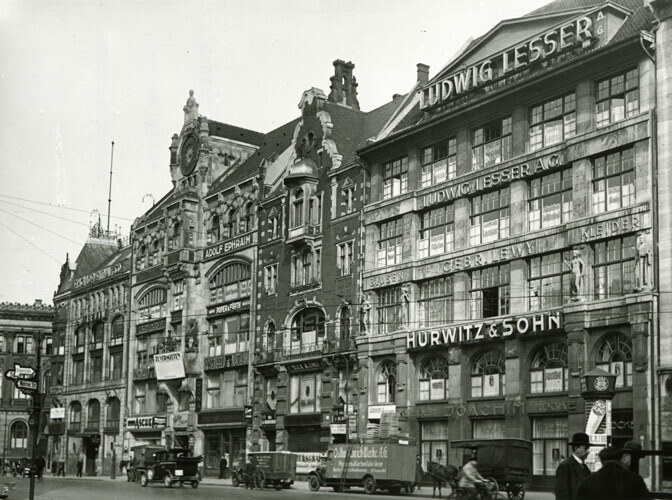 Formally a luxurious 5-storey department store, Warenhaus Jandorf (Warenhaus am Weinberg), established by Adolf Jandorf in 1904 (3 years before Jandorf built KaDeWe – Kaufhaus des Westens), it was sold to retailer Hermann Tietz in 1927. 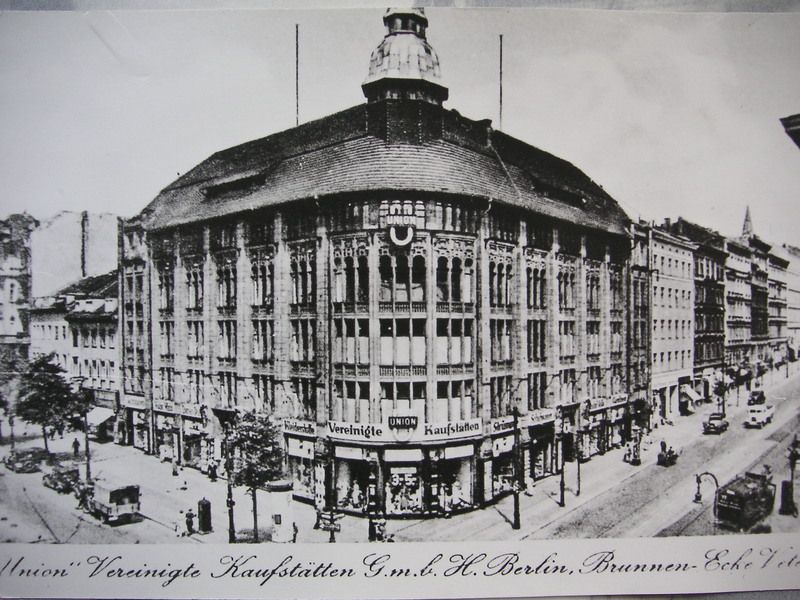 Between 1938 and 1945 the department store was taken over by the “Union Vereinigter Kaufstätten” (union of department stores). Relatively undamaged by the war, it became the “Haus der Mode” (house of fashion) of the GDR. 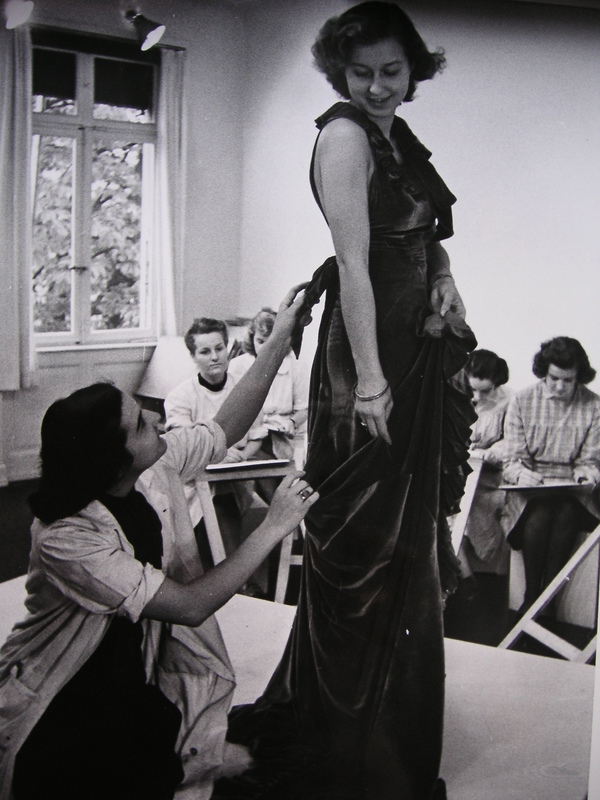 In 1955 an international fashion competition took place with retailers from Poland, Chekoslovakia, Romania, and Hungary. 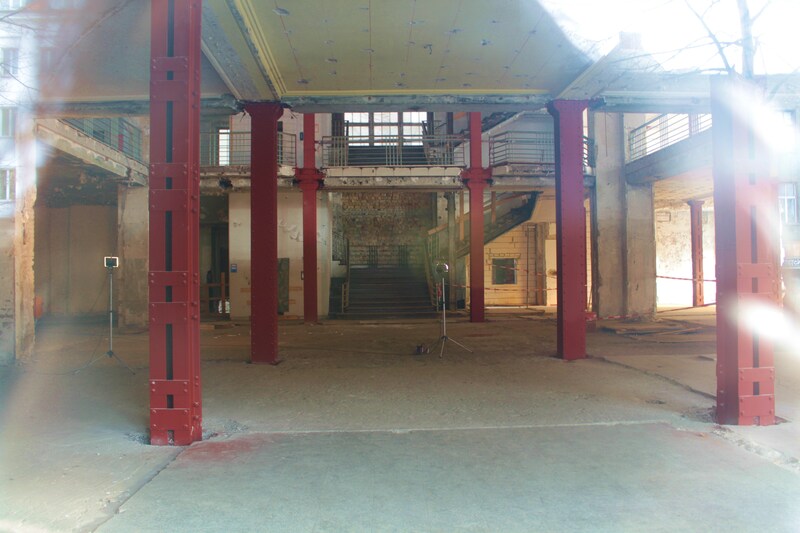 Since reunification, the building remained mostly empty, with the exception of a few art exhibitions and projects. 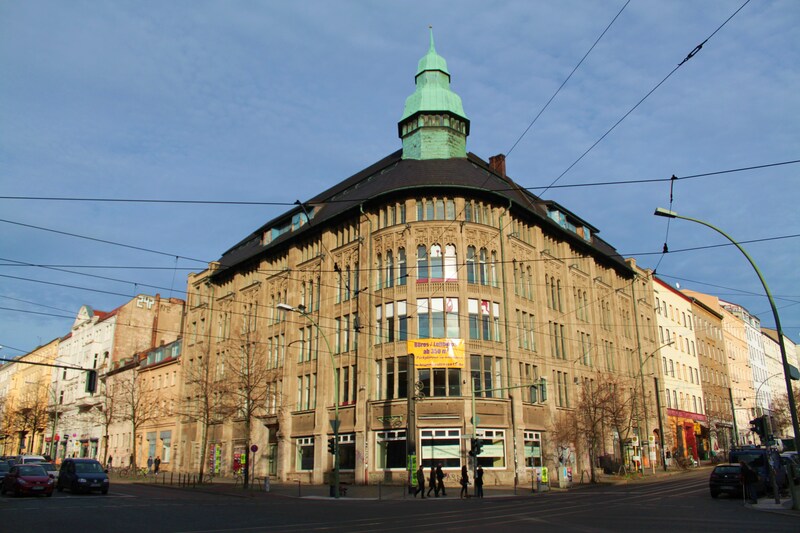 In 1993, it was sold to a Frankfurt real-estate company and renovated for commercial use. 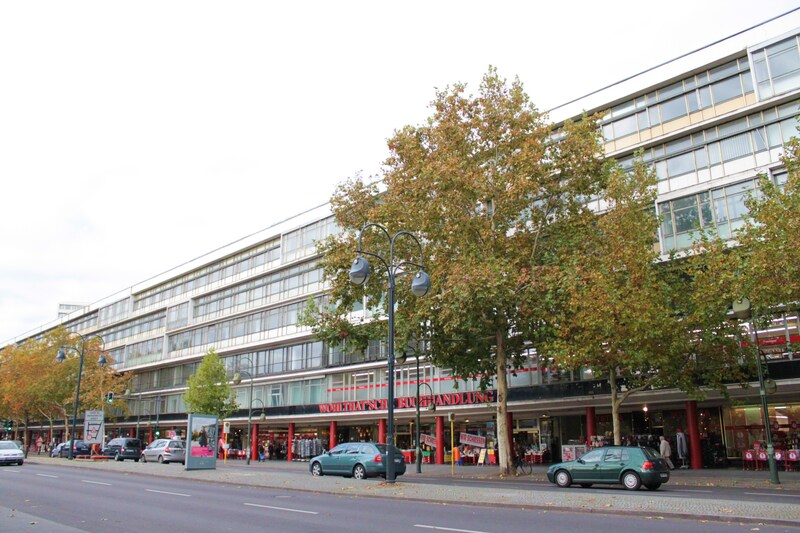 In August 2003, an article in Die Welt announced the new plans for the building to be brought back to life as a “Projektkaufhaus für Wirtschaft und Kultur” (project-mall for commerce and culture), where graphic designer, architects, designers and artists would work. A website and a printed brochure were released to attract the future inhabitants of the project-mall. Yet, the building still remains empty. 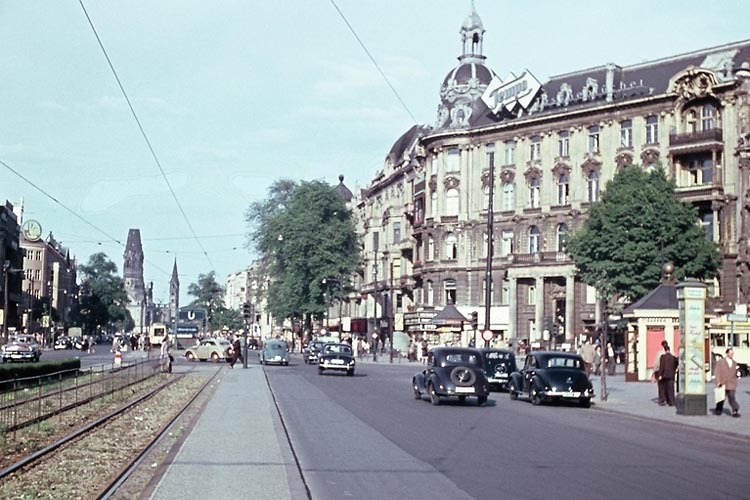 After reunification, Berlin had many abandoned buildings – not only in the former East. Over time, many residential and commercial buildings have been reconstructed and gentrified, and in many cases, replaced by new buildings. Property ownership disputes, heritage laws, or lack of capital investment have often delayed the process of reconstruction. This may contribute to the fact that these former fashion sites are still in existence and remain empty. Fashion has often been described as medicine against collective forgetting (Benjamin). We traced precisely this overlap of fashion, labour, and history that make up the story of Berliner Chic. Check out a similar project in St. Petersburg: the Singer Building. This entry was posted in Berlin, Fashion, History. Bookmark the permalink. thanks, very good. It is a fascinating story that too few know of. 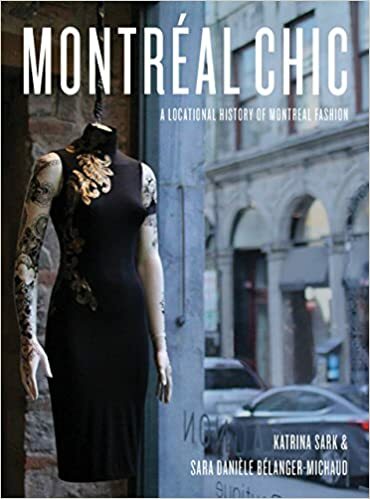 If we had a mayor who is more than a celebrity follower, he would have realized this enormous and historical potential long ago and done something to help build up all the fashion business talent that is coming to the city, – instead of his p.b.s. line, which I cannot even bear to repeat. Thanks for your message. Yes, you may use the photos but please include a link to my website! Hi Kat – enjoyed your post. I wonder if you might be able to give me a lead to finding out anything about my father’s family’s lace business in Berlin, which was handed over to Goebbels in the 1930s before the family (Jewish) escaped to England. The name was Lowenthal. I have no idea how to discover whether there are any records of the business or its location. There is a book by Uwe Westphal (in German) about the destruction of the (Jewish-owned) clothing industry in Berlin. He has done a lot of research on that, and you might be able to find his contact info by googling him. Other than that, I would maybe also contact the fashion curators and historians at the Costume library in Berlin who may have more information. I know there must be fashion historians doing this research in Berlin, but I don’t know them personally. I think a few emails to the Costume Library and the fashion curator at the Kunstgewerbe Museum will point you in the right direction! 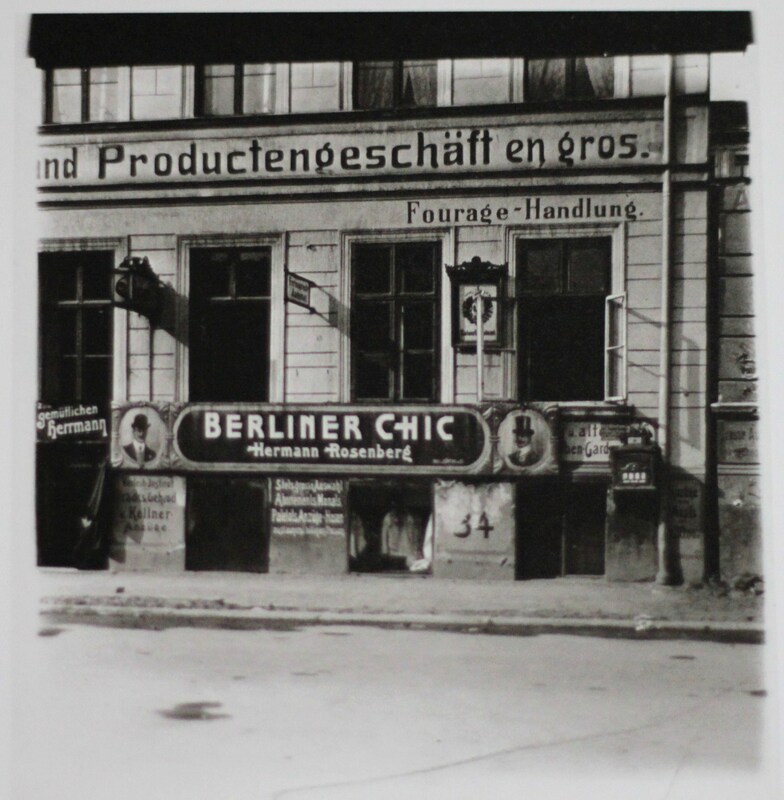 You might be interested in my new book about the Jewish fashion industry in Berlin in 1935. Btw, a new, third edition of the fact book in somehow in the pipeline. Thank you for your kind comments, and congratulations on your new book! Please keep in touch, and hope to see you in Berlin sometime! Thanks for your email, Kat. Yes, I too would like more information and I will contact the institutions you mentioned. My mother, Helen Erna Simke, worked closely with Aribert Schwabe. After she and the family fled to Portugal in 1936 she continued to work as his “sketcher” four times a year in Paris. He arranged secure passage for her with letters of explanation of her travel. (I have a copy of one of these.) This income helped my family survive those lean years. I recall that in the 1980s (I think) Herr Westphal wrote to my mother (I have a copy of the letter) asking for her to write down her memories. I offered to help her but she was unable to commit to such an undertaking due to advancing age. It’s a shame. She was in the heart of the industry and had many stories to tell. DeZine Studio. She offered a sketch service to other designers (Ceil Chapman, R&K, for example) where she provided European “imports” through her contacts in most major European cities. At other times of the year she provided special collections such as Coats and Suits, Evening wear. She retired in 1968. I have sketches from the European years, and many from her NY years. In 2014 I too visited Hauvogteiplatz and took photographs. 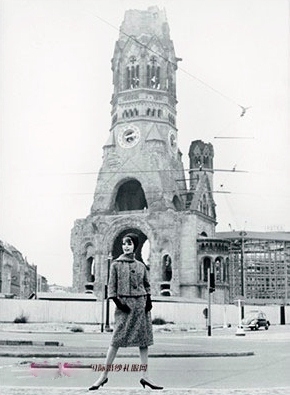 I have several old pictures of her there, the epitome of Berliner chic. 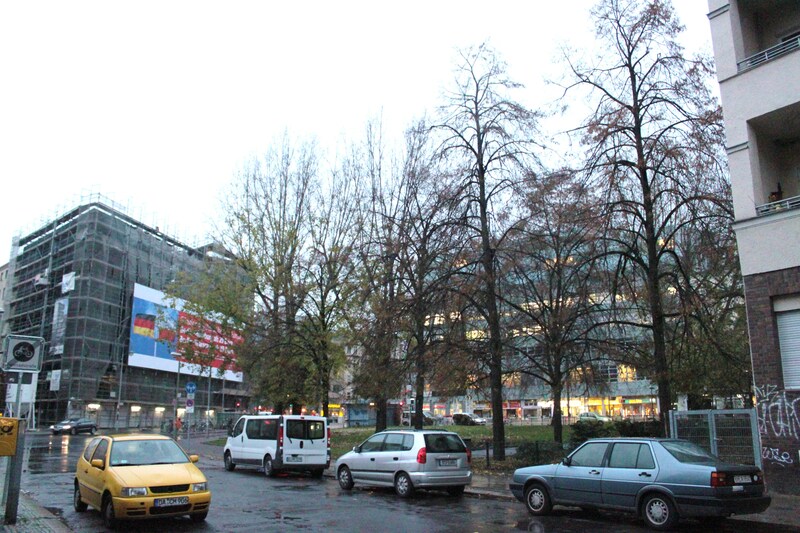 I know that the Platz is quite different now…standing there I imagined the vital energy of those heady years. She was incredibly proud of what she accomplished. She was an amazing woman, born and raised in Potsdam (geb. Toepfer), and making something of herself in difficult times. I looked at this blog some time ago and was equally faszinated about the compilation of information. There are some issues they would need an update due to new research. As the author of the fact book: Berliner Konfektion und Mode 1836 – 1939-Die Zerstörung einer Tradition, I’d like to make all of you aware of my new novel about the fashion industry in Berlin “Ehrenfried & Cohn”, during the Nazi period. 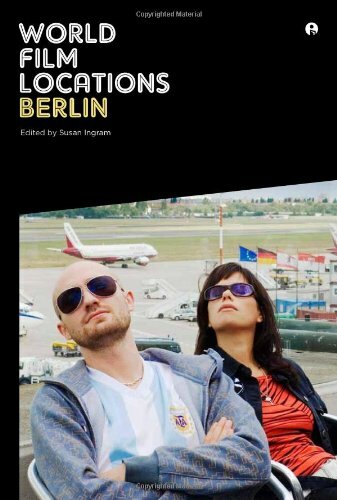 The book was published at Lichtig Verlag Berlin in 2015. For further information please check my website blog as well as twitter and facebook.